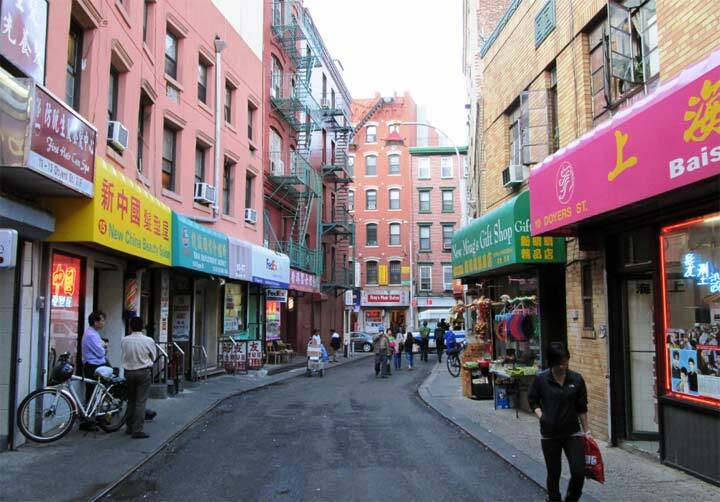 1938 was a year in which els began to disappear from the Manhattan landscape, with the 6th, 2nd and 9th Avenue Els in succession all going the way of the dodo bird from 1938 to 1942, while the 3rd Avenue el served an “undersubwayed” part of town until it, too, found the wrecker’s ball in 1955. 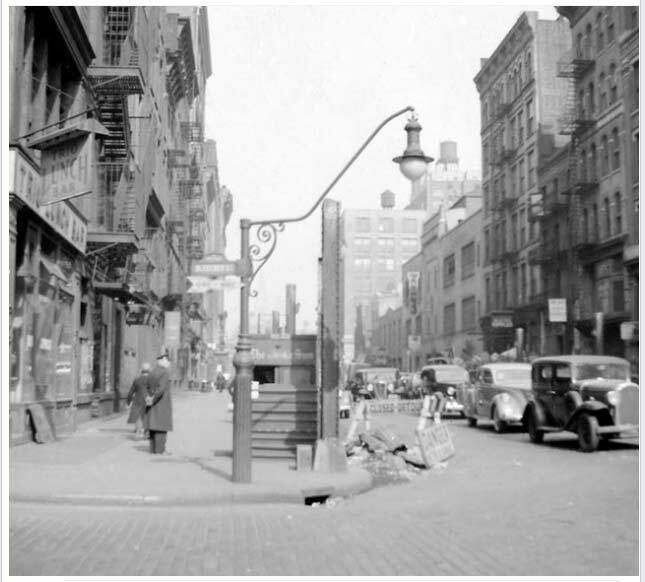 ’38 was a transitional time on West Broadway, where at Bleecker Street some of the old pillars that held up the tracks still awaited demolition, along with a fanciful lamppost that, once exposed to the sun, looked more at home in the Gay Nineties than the Dirty Thirties. Strange creatures often lurk under bridges. Before settling on dwarf versions of regular-sized lampposts to place under elevated trains, artisans often came up with strange cast-iron creations to fit around the girders. When the els came down, they were briefly exposed to the light. I remember thinking you would love this image, Kevin, so keep the copy here in FNY. Lower on my page is 91-8, the same creative lamppost seen from the other direction. The photographer asked to be anonymous. That is true…the 9th and 6th Avenue elevated lines were sold to scrap brokers, who shipped them off to Nippon, and they returned the metal, with interest, sadly.